In this tutorial I will explain step by step how to configure a VPN connection with SoftEther (client side) to connect to ScassaVPN 2.0. Click on the first link that we found which refers to a RTM version (not BETA) that appears below "Download Files", currently "SoftEther VPN Client (Ver 4.20, Build 9608, rtm)", and download the software. NOTE: If SoftEther notifies you the availability of a new version, you should install it if it's NOT a BETA version. Now you can delete the configuration file. Create a shortcut on the desktop of your account in this way: select the network configuration you just created, click “Connect” on the top menu bar and click on “Create VPN Connection Shortcut…”, choose your desktop and confirm all. - remove all checkmarks and finish the wizard. Of course you should specify your nickname instead of mine. As regard the password contact me privately on our forum. Once connected you can save the credentials: to do this go to "Bookmarks"> "Add to bookmarks" and click "OK". On subsequent starts simply go to "Bookmarks" and click on the name you gave at the saved credentials. The server is always on, so you can connect with that without any problems. 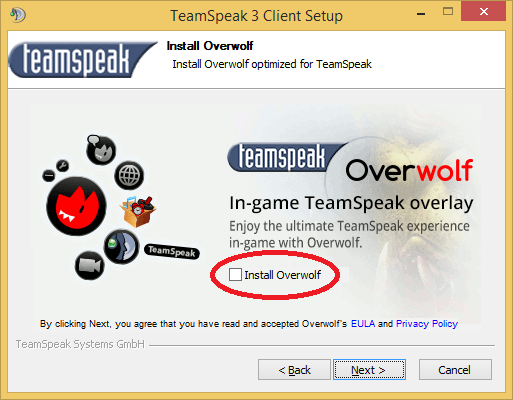 Now close TeamSpeak 3 client. 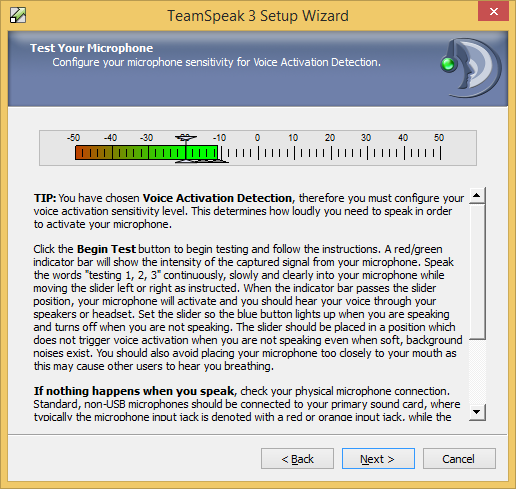 To make it all work, just click on the ScassaVPN 2.0 and TeamSpeak 3 client shortcuts.